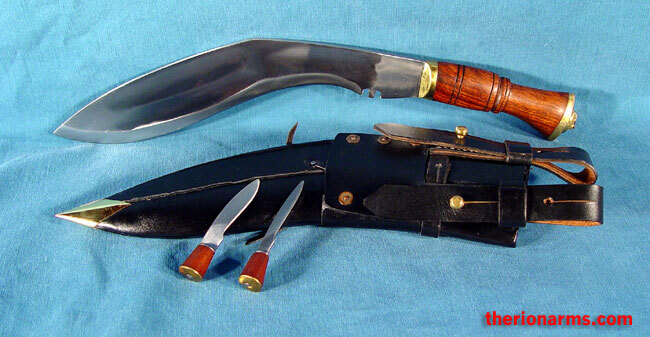 This kukri is made by the official government contractor to the Indian Army for issue to the Ghurka's Assam Rifles regiment. Made to current military specifications, the double-fullered blade is hand forged from high carbon steel and features the traditional religious notch symbolic of the trident (3 pronged spear) of Shiva. At a little over 1/4" thick, this is a very powerful chopping blade. 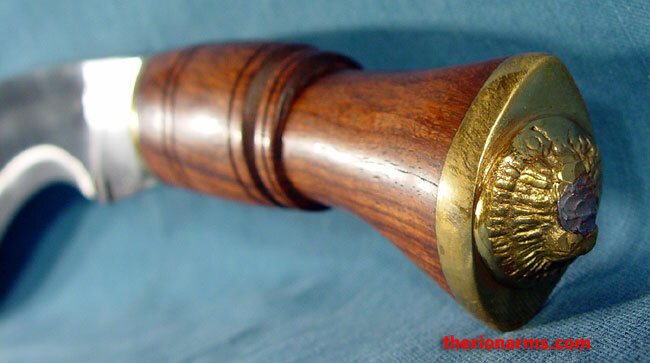 The polished, native hardwood handle is reinforced by a brass bolster and a brass pommel with a raised lion's head decoration. 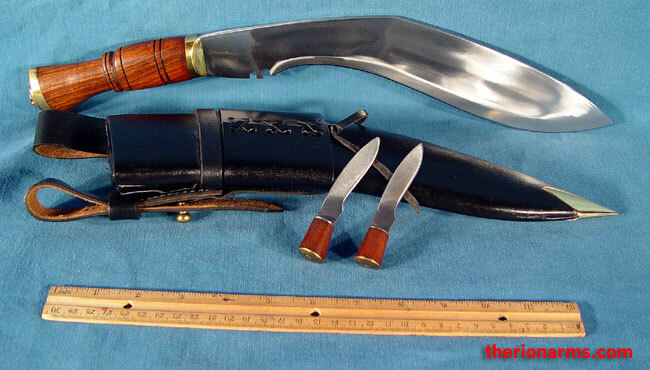 Comes with a regulation sheath, chakmak, and karda (accessory tool and knife). bolster, grip and pommel: 5 1/2"